The York Road Partnership works to better the neighborhoods that border the York Road corridor between 39th and the City/County Line. 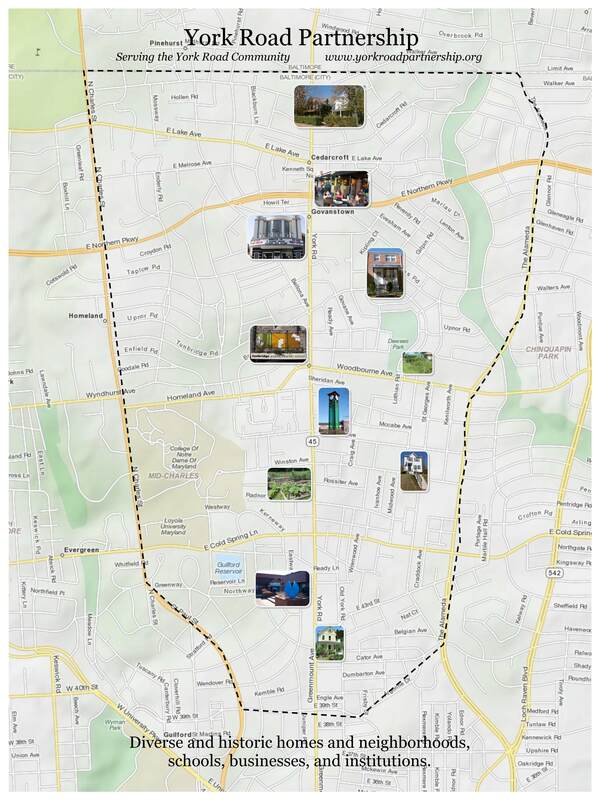 Working together, representatives from these neighborhoods, businesses and organizations within the area make up the YRP. Baltimore is a city of neighborhoods– we are all connected! Our Focus Area: From the City Line, south on North Charles Street to 39th Street, from 39th Street to Argonne Drive, along Argonne Drive to The Alameda, north on The Alameda to Northwood Drive and along Northwood Drive to the northern City Line.